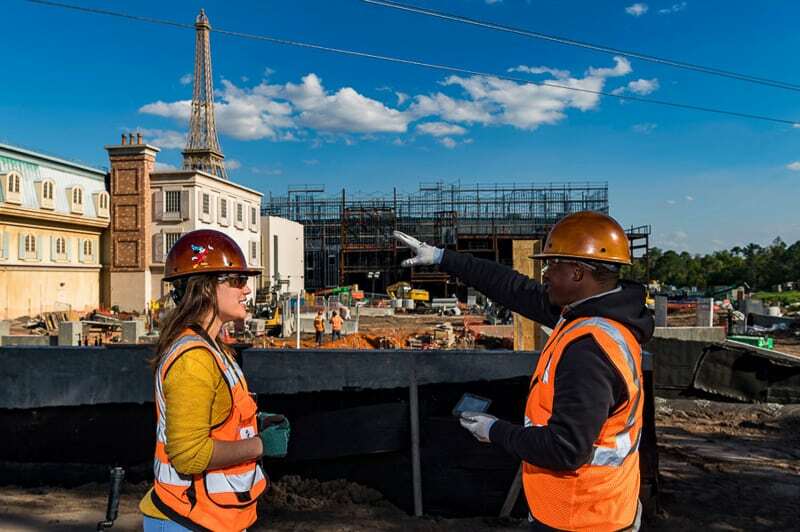 That’s why we’ve created this page to keep track of all the Disney World construction updates for all the major projects currently happening. Here you will find reports on all the new attractions, lands, shows, restaurants, hotels that will be popping up in Walt Disney World over the next couple years. 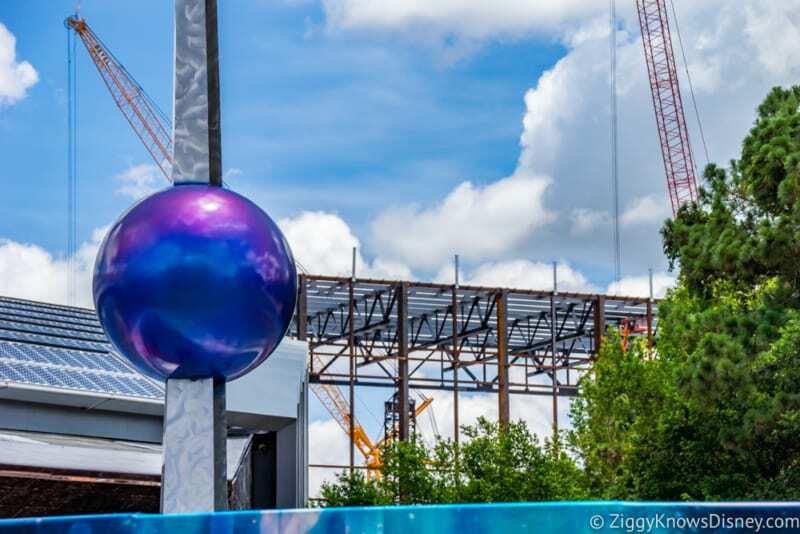 Of all the things we work on here at Ziggy Knows Disney, the construction updates might be our favorite of all. There’s something exciting about seeing these new construction projects as they go from inception and you see them in every phase until they finally open and you get to experience them for yourself! In each of those categories, click the links to see separate construction update pages where we have numerous posts breaking down each project in more detail. We aren’t getting into all the refurbishments on this page, but will concentrate for the most part on new construction in Disney World. 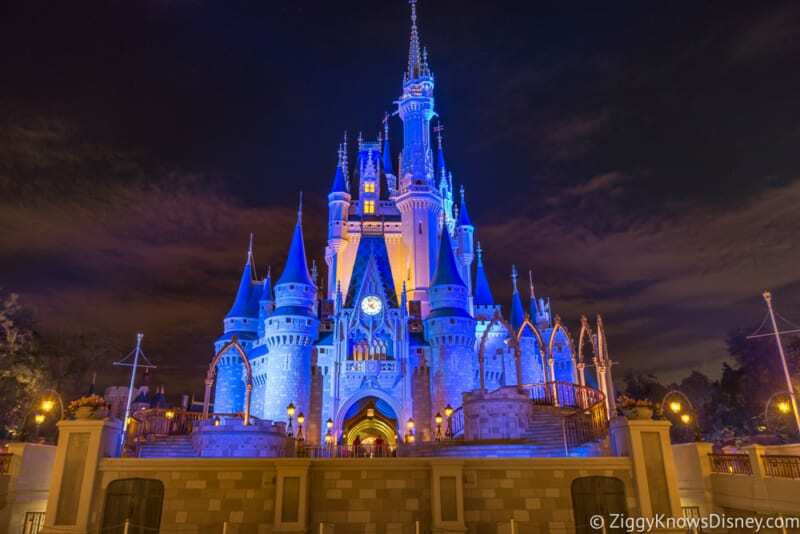 We will keep this page constantly updated with the latest Disney World construction news so keep checking back for the latest, including new pages from the links! Disney’s Magic Kingdom may be the crown jewel of Walt Disney World, but that doesn’t mean it isn’t still evolving. In this past decade most of the work has been concentrated on New Fantasyland with attractions like Under the Sea: Journey of the Little Mermaid and Seven Dwarfs Mine Train being added. 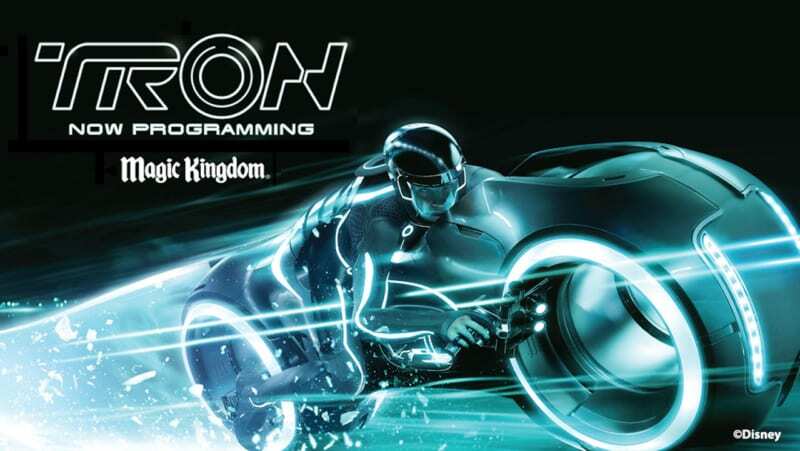 But in the last 5 years things have been pretty quiet, until the new TRON roller coaster was announced at the 2017 D23 Expo. Things are going full speed with that project, and two other attractions (Walt Disney World Railroad and Tomorrowland Speedway) have been temporarily closed down because of this. We almost got a Main Street theater too, but that project has been put on hold for the time being. I lost my mind when this was announced at the 2017 D23 Expo. 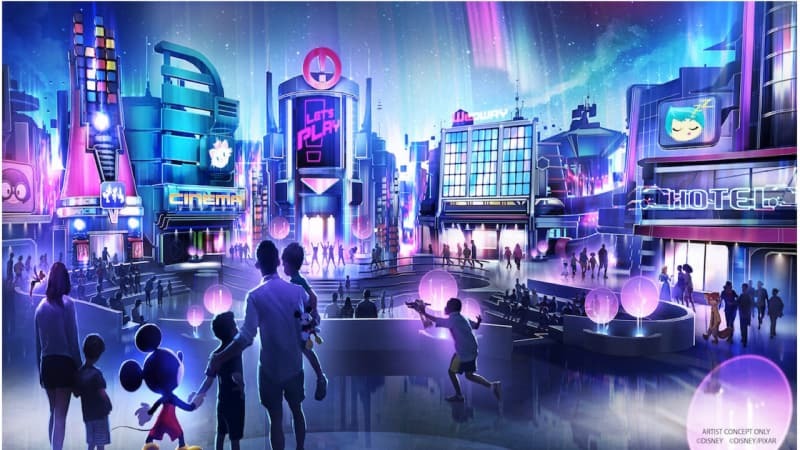 This is going to be the centerpiece of the Tomorrowland renovation and the original Shanghai Disney version, the TRON Lightcycle Power Run is the fastest Disney attraction outside the USA. Things at the Magic Kingdom are about to get a whole lot more thrilling in time for the 50th Anniversary of Walt Disney World. Neither of these projects are new construction, but since the work going on is outside and visible we wanted to include it. 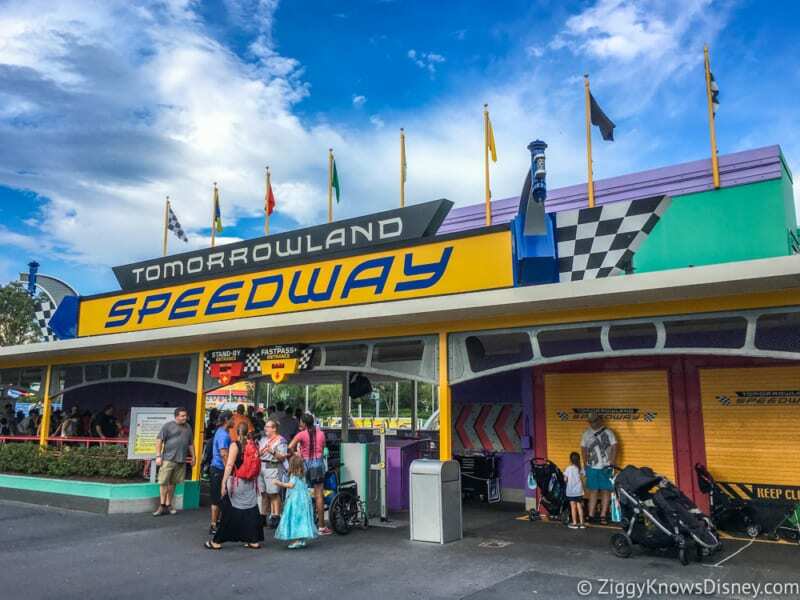 Both the Walt Disney World Railroad and the Tomorrowland Speedway will be closed down for a good part of the year and are getting part of the attraction re-routed for the TRON coaster project. 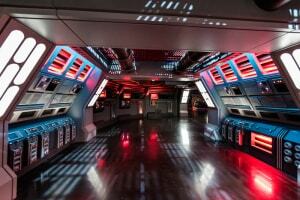 In the above link you will be taken to our page with updates on all three attractions. Waiting through all the construction the last three years in Hollywood Studios is going to seem like a walk in the park compared to what’s about to go down in Epcot in the next 3 years. Epcot unfortunately in the past 10+ years has become a glorified, year-round food festival, far from the original vision for the park. Opinions are split on which direction the park is currently heading in, but one thing is for sure…change is coming, and it’s gonna be big. Already the Epcot skyline is being dominated by the huge Guardians of the Galaxy coaster which is already closed up, as well as the massive France expansion going on in World Showcase’s France Pavilion with a ride based on Ratatouille: Remy’s Ratatouille Adventure. 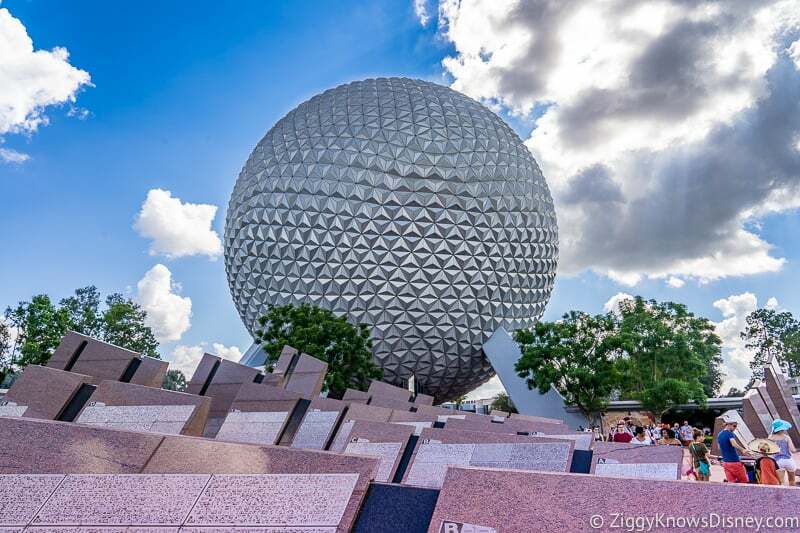 Disney recently announced a complete transformation of the Epcot entrance plaza which will be getting much greener, and it looks like the whole “spine” from the entrance through Innoventions is getter overhauled with attractions closing down in that area. Not to mention guests will soon be dining in new restaurants in both Japan and Space (yeah you read that right), a replacement for Illuminations: Reflections of Earth, a replacement for the Wonders of Life Pavilion, and much more still rumored for Epcot. I’d say the next few years are going to be pretty interesting, but it will be a war zone walking through Future World that’s for sure. Announced in 2017, the Guardians of the Galaxy roller coaster is going to be one of the longest indoor roller coasters in the world when completed and for sure one of the most exciting rides in Walt Disney World. It’s based on the Guardians of the Galaxy characters from the Marvel Cinematic Universe and is taking over the old spot of Ellen’s Energy Adventure. One thing is for sure, you won’t be able to say this attraction snuck up on you, you can see it from across the park. Expect it to be ready for the 50th Anniversary of Walt Disney World. This is a copy of the similarly named Ratatouille attraction in Walt Disney Studios Park in Disneyland Paris. 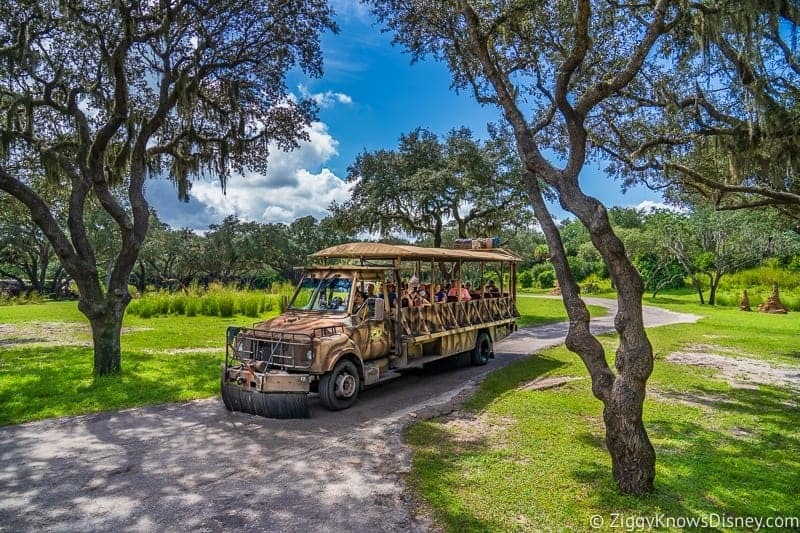 Guests follow Remy from the Pixar film “Ratatouille” along on this adventure through a working French kitchen in a trackless vehicle as they avoid danger at every turn. 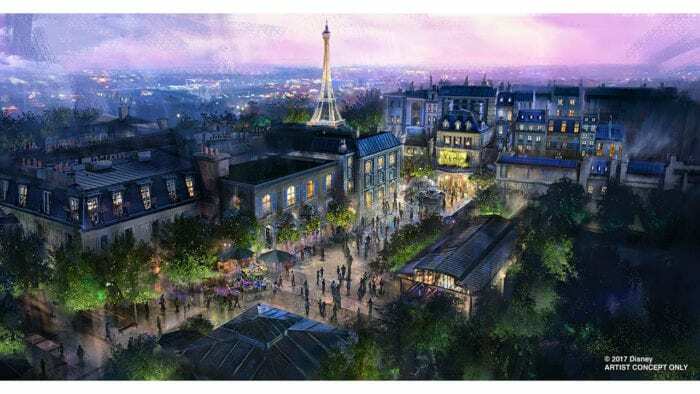 Not only is an attraction coming to France, but a huge expansion with a big square, shops, restaurants and a new Beauty and the Beast Sing Along! 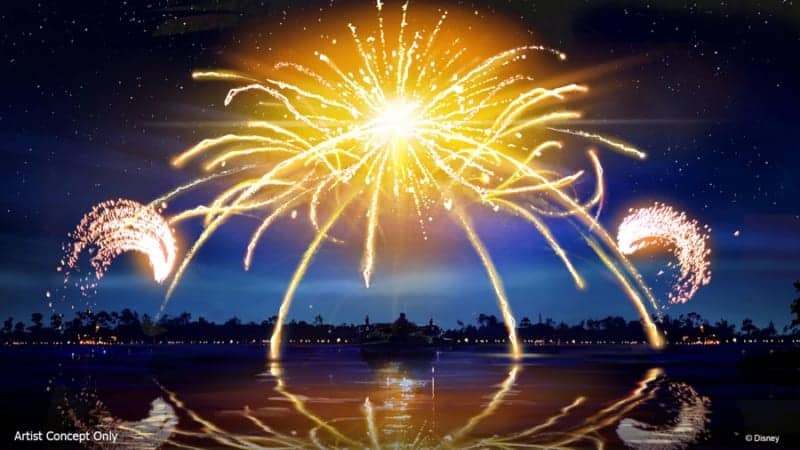 A replacement for the Illuminations: Reflections of Earth fireworks show has been in the works for some time and we are now getting its successor…or should I say, successors. Two new nighttime shows will be coming to Epcot, the first a temporary show in 2019 called Epcot Forever. The second one A Celebration of Disney Music is going to be the permanent one and debuts in 2020. This is definitely one of the coolest projects in Walt Disney World and is going to give guests the opportunity to see what it’s like to eat in outer space! This new Table Service restaurant will be attached to the current Mission: SPACE attraction building and near Test Track in Future World. The restaurant is going to have a huge spherical shaped dining room with giant projection windows on it, simulating what it would be like to dine in space. This promises to be a can’t miss dining opportunity for guests visiting Epcot and we’ll keep you up to date with the latest progress on the build. 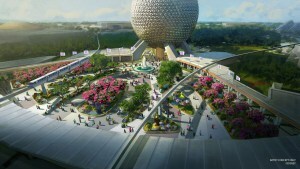 This is a huge project for Epcot which was recently announced and it’s going to include a total renovation of the park’s entrance. 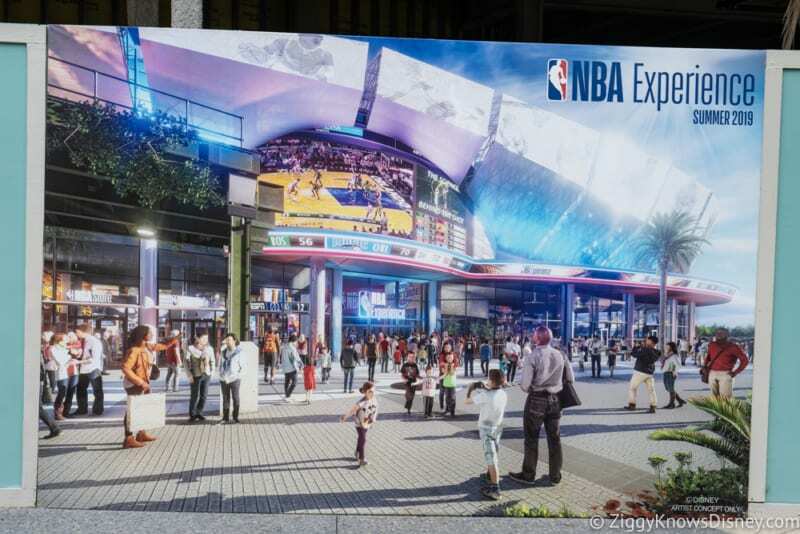 Looking at the concept art, this new entrance is going to look nothing like the current one. The Leave a Legacy monuments are getting removed and Disney is focusing on a much more lush and green space, much like the Project Gemini previously planned. Another project ready for the 50th Anniversary of Walt Disney World. The Innoventions pavilions were amazing when they first opened up 25 years ago, but their time is past and it’s time for the future. 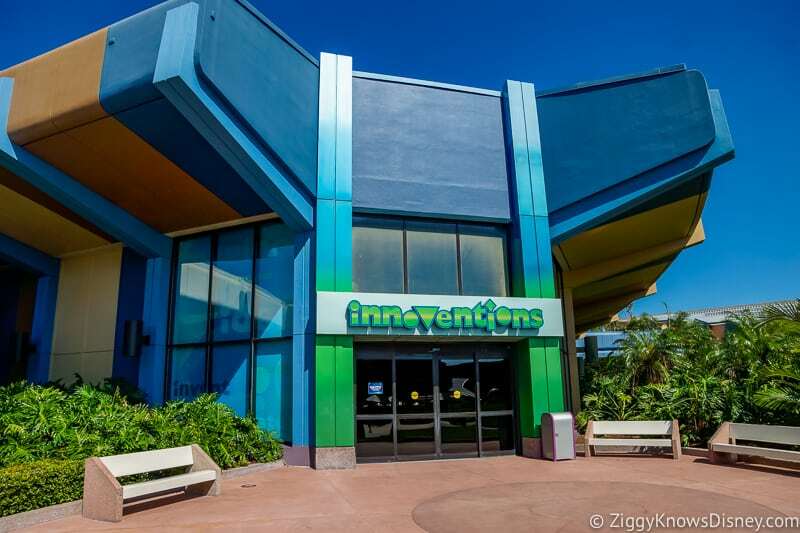 Disney has yet to officially announce what’s replacing the Innoventions pavilion, but permits were recently filed pointing to their upcoming destruction. We’ll keep an eye out for you about what’s coming in their place. Japan is famous for its high-end steaks, so expect this to be a pretty pricy meal once it opens. I’m thinking lots of Wagyu Beef and high-end sake! 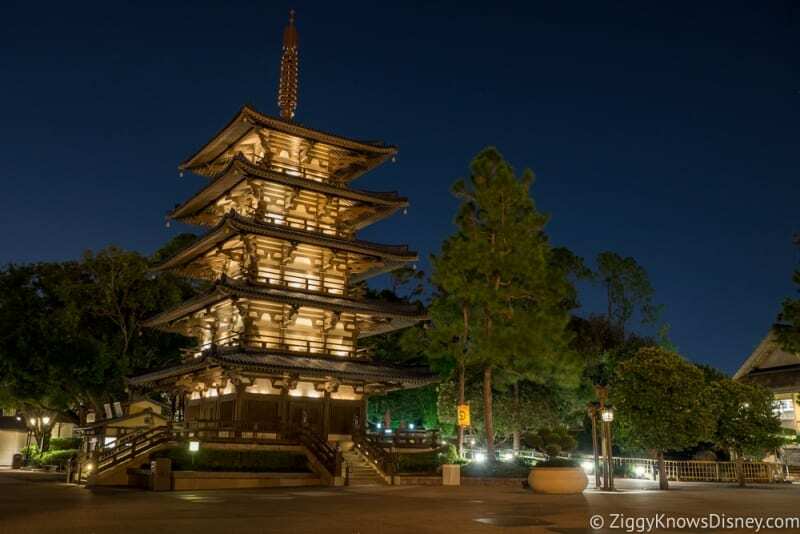 This new table service restaurant will be located in the Japan Pavilion in World Showcase and attached to the Mitsukoshi store and taking up some of the retail space and backstage areas. Theming will be a big part of the restaurant and it will have distinctly themed rooms inspired by nature and takumi. We know very little about the new Play Pavilion which was recently announced to take over the old Wonders of Life Pavilion in Future World. Not much visible work has been done outside yet (besides the roof renovation last year) and it’ll be hard to track the progress as most work will be done on the inside of the building. However, we’ll keep you updated with the construction as soon as we have more. This is a big year for Hollywood Studios as it’s celebrating its 30th Anniversary of the park’s opening, and Disney has lots of projections currently going on. Things have been moving in a very different way from the “behind the scenes at the movies” philosophy when the park opened to an experience that puts you right “in” the movies. If you looked back on what Disney’s Hollywood Studios was only 4 years ago, you would be shocked to see what it’s become today. It’s now on the verge of opening the most anticipated theme park land in history, and that’s just one of the main additions coming to the park. Last year we got Toy Story Land, and of course this year everything starts with Star Wars: Galaxy’s Edge, and this giant 14-acre land is going to change the way guests visit theme parks. Construction on it is coming to a finish and it will be ready by August 29, 2019. Besides Galaxy’s Edge there are other construction projects to follow around the Studios like Lightning McQueen’s Racing Academy which is a revolutionary show/experience based on the Cars franchise and is opening at the end of March. 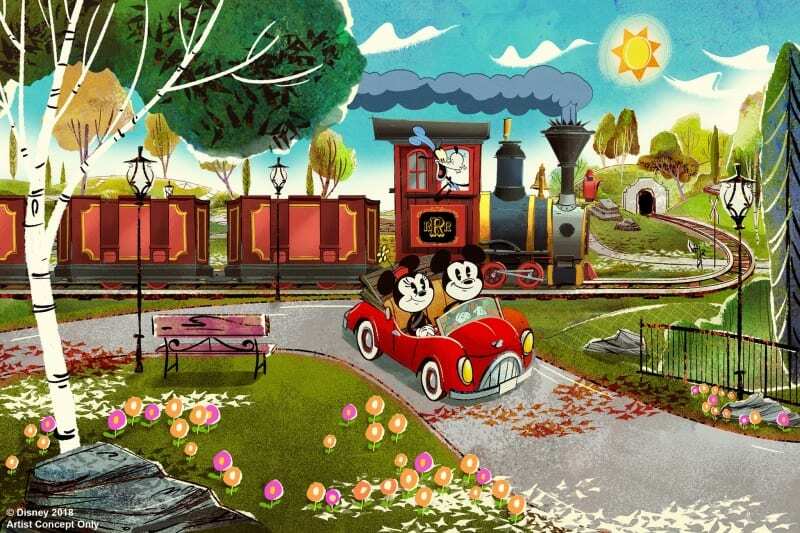 Mickey and Minnie’s Runaway Railway, a new innovative dark ride based on Mickey and Minnie, is taking the place of The Great Movie Ride inside the Chinese Theater too. 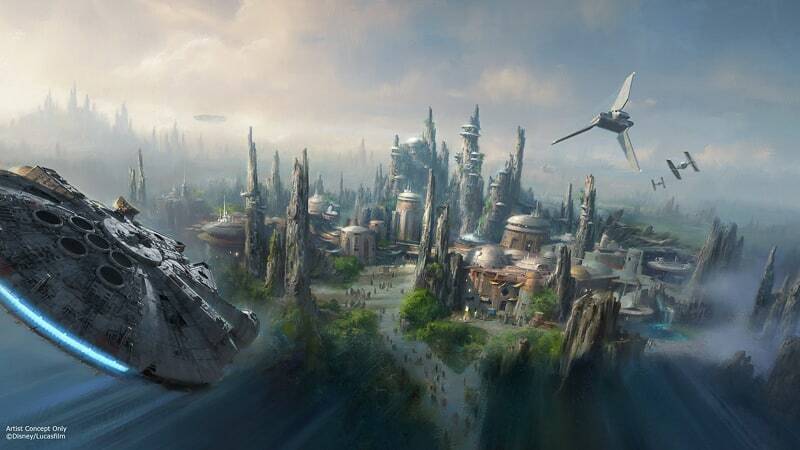 You don’t need an introduction to Galaxy’s Edge and everyone knows this is the most ambitious project Disney Imagineering has ever taken on. We’ve been following the construction updates on Galaxy’s Edge for almost 3 years now and have seen it rise up from literally piles of dirt, to a thriving alien space port. You’ll find updates on all the buildings with detailed looks at both attractions (Millennium Falcon: Smuggler’s Run and Star Wars: Rise of the Resistance) as well as the center marketplace, Black Spire Outpost. Mickey and Minnie’s Runaway Railway is an ambitious new dark ride taking the place of The Great Movie Ride in the iconic Chinese Theater. It will feature trackless vehicles and an incredible new technology to render the environments Imagineers are calling: 2 1/2 D.
Not too many construction updates for this attraction because most of the work is being done inside and some but not too many changes are expected to the outside of the building. 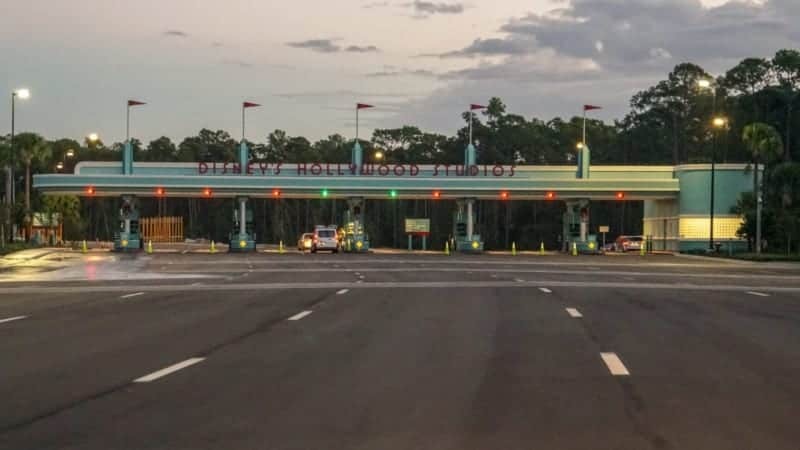 In order to get everything ready for Star Wars: Galaxy’s Edge, major upgrades were needed to the parking lot in Hollywood Studios. The complete layout of the lot has been changed including a brand new entrance to the lot, and new entrance and exit ramps to the the nearby Osceola Parkway. Plus a brand new Bus Station has just been added. It’s not the most exciting construction project in Disney World but something necessary for good guest satisfaction. This is a new show/experience based on the star of Pixar’s Cars franchise (Lightning McQueen). Not too many construction updates on this one because most of the work is being done inside, though some signs have been installed on the exterior of the building. After one of the busiest times in its short history, not too much is going on right now in Disney’s Animal Kingdom a far as new construction projects. Pandora: The World of Avatar opened up in 2017 and has been a massive success with guests so far, with lines for its top attraction Flight of Passage still hitting the 3-hour mark on a regular basis. As far as new projects, plans are in place for an upgrade to the Animal Kingdom entrance, with a new tram drop-off point which will be covered from the elements. This will see a re-routing in a bunch of traffic in the parking lot there until finished. Disney also recently confirmed that Rafiki’s Planet Watch will be coming back later this year, and though it isn’t new construction, it will have some updates and a Lion King theme added to part of it. Besides that there are no other live construction sites and no major projects in the works for new attractions at this time, though there are many rumors. 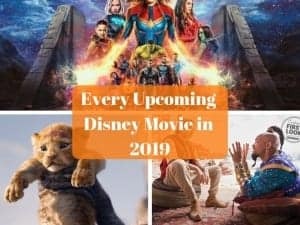 We could be finding out more in the upcoming months once the D23 Expo hits. Even though there are many construction projects and new attractions going on inside the Disney World theme parks, probably just as much work has been going on outside the theme parks recently. We’re going to share with you what’s going up and coming in the near future. First of all you all know about the newest transportation system in Walt Disney World, the Disney Skyliner. This is going to totally change the way people get around property. 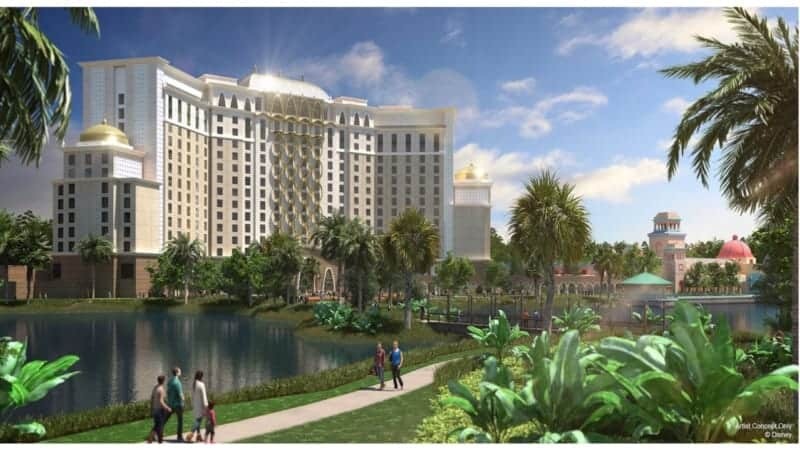 There are also many hotel projects going up like Disney’s Riviera Resort; the Gran Destino Tower over at Disney’s Coronado Springs Resort; a new DVC resort on Bay Lake, Reflections: A Disney Lakeside Lodge; a new luxury boutique hotel near the Swan and Dolphin, The Cove; and oh yeah….a Star Wars themed hotel near Hollywood Studios and attached too Galaxy’s Edge. 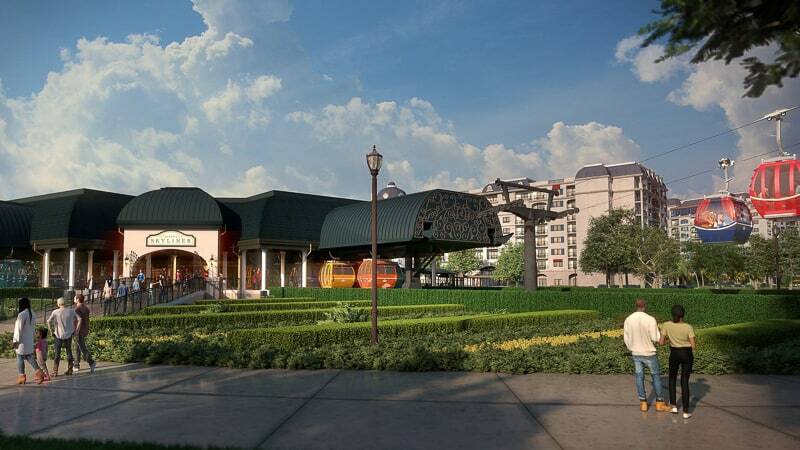 Then beyond the hotel construction there are always new things going into Disney Springs. We’ve had a never ending line of new restaurant openings over the past 4 years, and this year is no different with new openings like Jaleo and City Works Eatery & Pour House. I’m hungry already! The Disney Skyliner has been one of the most fun construction projects in Walt Disney World because, it’s been really all over Walt Disney World! This is going to be an awesome transportation when finished and there are lots of updates happening every day! 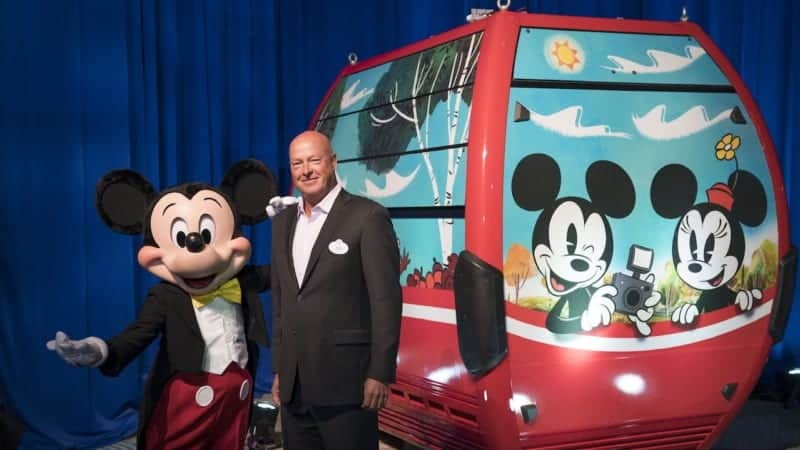 The Disney Skyliner is the newest form of transportation in Walt Disney World, and the future. 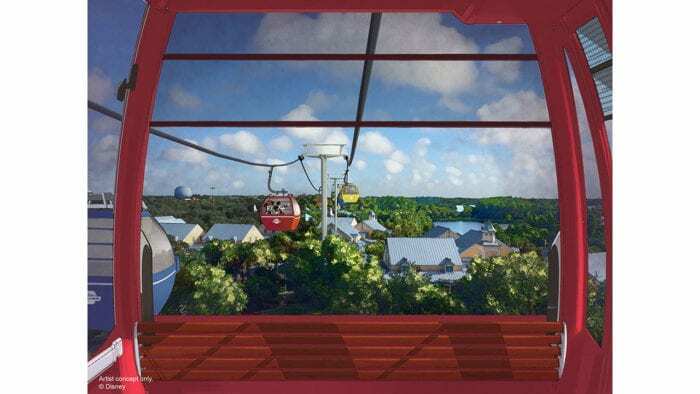 Similar in style to the Magic Kingdom Skyway, it will connect Epcot, Hollywood Studios, Pop Century, Art of Animation, Caribbean Beach and the Disney Riviera Resort. It’s been impossible to miss the Disney Skyliner construction in Disney World over the past year, towers have been rising up all over property. Now testing has been going on of the Skyliner cars too. 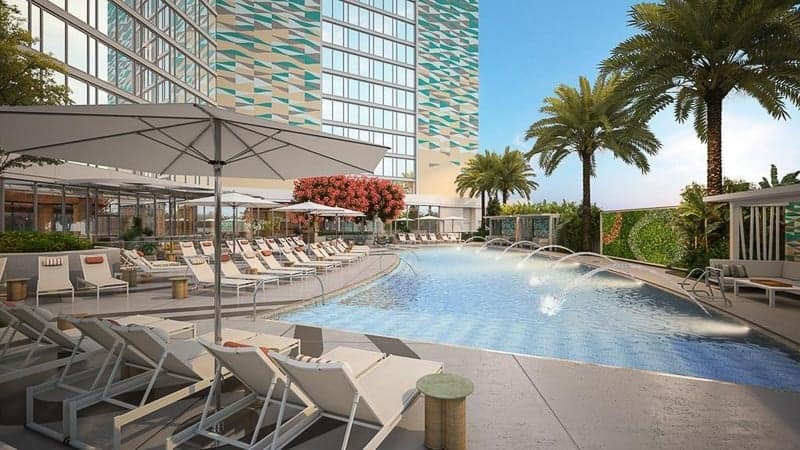 Two of these projects are coming to an end later this year (Gran Destino Tower and Disney Riviera Resort), but the other 3 are just getting started. It’s going to be fun following along with their progress! Work is starting to take off for the Star Wars Hotel after last year was mostly about site work to get the land prepared for construction. Now it’s here. 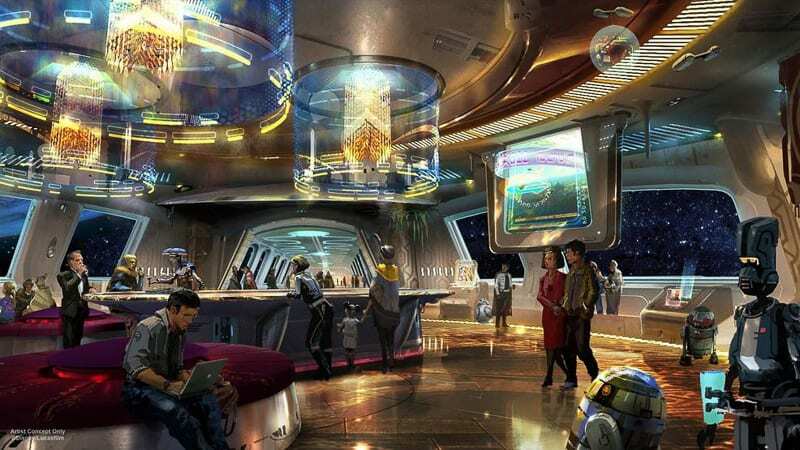 Just like Galaxy’s Edge, this ground-breaking new hotel is Disney most ambitious one yet and will have guests sleeping onboard a starship while taking part in interactive missions. Site work is ongoing and look for the foundation and vertical construction soon. Disney’s Coronado Springs Resort is getting a big upgrade later this year when its new luxury tower opens up. The Gran Destino Tower will be 15 stories and have 545 new guest rooms and 50 suites, aimed at the high-end and corporate guests. There will also be 2 new restaurants on property. We’re coming to the end of its construction now and the entire external is basically done and most of the work in internal now. Disney’s Riviera Resort will be the newest Disney Vacation Club resort once it opens up later this year. It’s going to have 300 family-friendly vacation homes with: tower and deluxe studios, one-bedroom and two-bedroom villas, and grand villas. The Riviera Resort will have a Signature Dining Restaurant, Quick Service, a Cafe and a Bar. 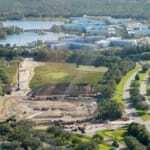 This new DVC resort is being built on the old River Country site along Bay Lake and near the Fort Wilderness Campground. With a name that doesn’t exactly roll off the tongue and concept art that looks a bit like a Marriott draped in the middle of the woods, the verdict is still out on Reflections: A Disney Lakeside Lodge. Visible construction should begin soon but we still have a while to go as it won’t be ready in time for Walt Disney World’s 50th. 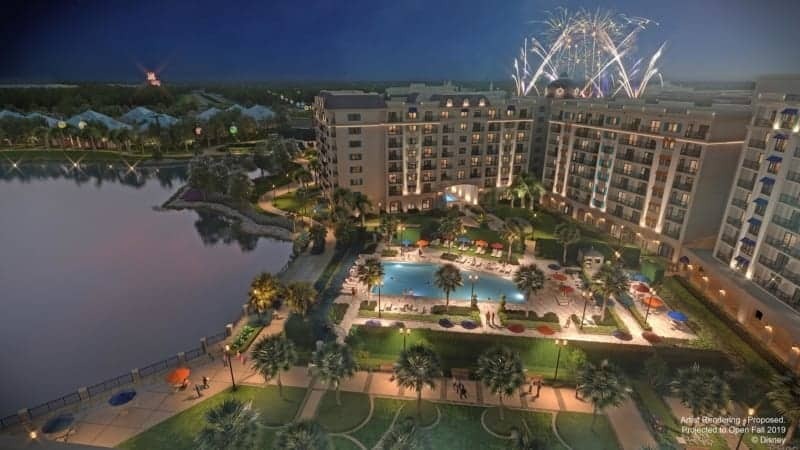 The Cove Hotel is going to appeal to the luxury crowd as this 349-room hotel comes to Disney World in the next years. Built over by the Swan and Dolphin Hotels, The Cove Hotel will have high-tech suites and a rooftop restaurant perfect for the fireworks. Nothing big has happened yet on the construction site, but things should pick up soon. Most of the projects in The Marketplace, The Landing and The Town Center are finished now, but Disney is now turning their attention to the West Side with new shows, restaurants and experiences happening there! 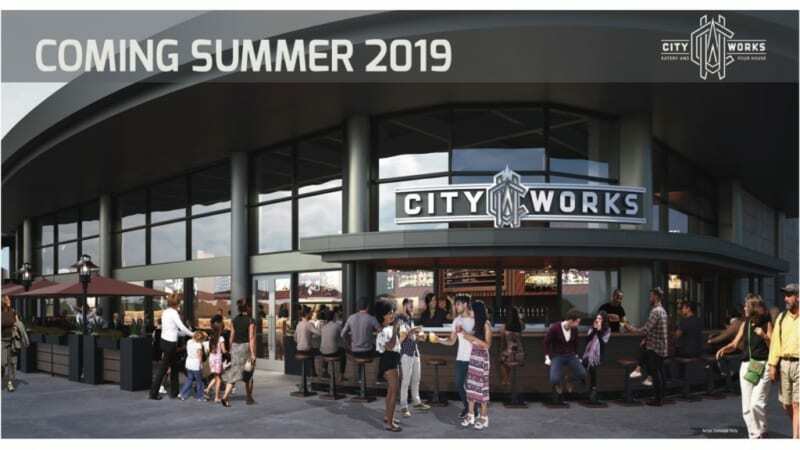 City Works Eatery & Pour House is a new sports bar/restaurant opening this Summer and its neighbor, the NBA Experience is also opening during the same period. With more people coming to Disney Springs than ever before, work is also being done on a new parking garage across the street. And we still have the new Cirque du Soleil show coming at some point. In this link we’ll have updates for City Works Eatery & Pour House, the NBA Experience and the new Parking Garage soon. That wraps up our Walt Disney World construction updates page. Keep checking back the individual links to each updates page on a regular basis as we’ll be updating things on a weekly basis. Which new attraction are you most looking forward to? Which park will be the best when all the current work is finished?